The Muskoka Lakes Association is offering one bursary in 2019. Students from Bracebridge and Muskoka Lakes Secondary School (BMLSS), Gravenhurst High School and Saint Dominic Catholic Secondary School are all eligible to apply. The Bursary will be in the amount of $5,000.00 and awarded to one student who demonstrates financial need to continue to their post-secondary education. All applications will be reviewed and evaluated by the MLA Bursary Committee. Any information provided on your application form is kept confidential to the Committee members and will not be shared outside of Committee discussions. Applicant interviews will be scheduled on Saturday May 25th, 2019 so that the Committee members can meet the selected applicants in person before making final decisions. Students at these schools are expected to be living within the membership catchment area of the Muskoka Lakes Association. The Muskoka Lakes Associations mission is to promote the responsible use, enjoyment and conservation of the unique Muskoka environment. Applications available in the guidance department at each school. MLA 2017 Student Bursary Winner! 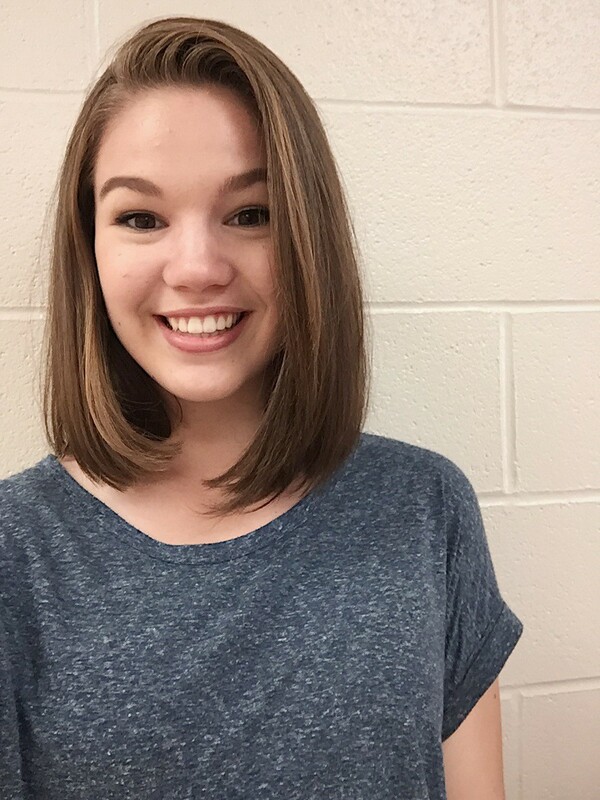 The Muskoka Lakes Association (MLA) has awarded its 5th Annual MLA Bursary to Robyn McIntyre of St. Dominic Catholic Secondary School in Bracebridge, Ontario. Robyn has been involved in many aspects of school life, including sitting on the Student Council since grade 10 and a member of the St. Dominic Peer Support group. She is actively involved in the school’s athletic teams, soccer, volleyball and badminton and an honour roll student for 4 years. She has also volunteered in many charitable initiatives, including the Salvation Army Christmas Food Drives, teen homeless nights and 4 years with an Anti-Bullying Awareness group. This year Robyn was a member of the St. Dominic’s Tanzania Team, where she travelled to Tanzania in May to help in the construction of a school for underprivileged students. Robyn has accepted admission to the University of Waterloo co-op Bachelor of Planning program where she begins pursuing her degree this fall. Eventually, Robyn hopes to return to Muskoka and use her Planning degree. MLA 2016 Student Bursary Winner! 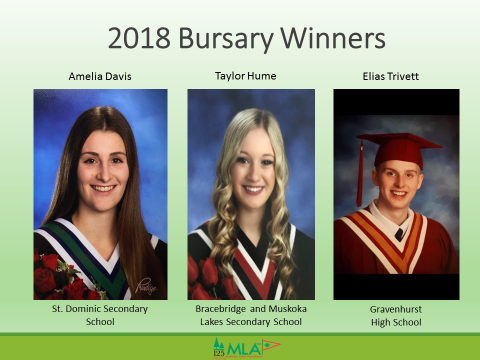 The Muskoka Lakes Association (MLA) has awarded the 2016 MLA Bursary to Laiken Pratt of Gravenhurst High School in Gravenhurst, Ontario. 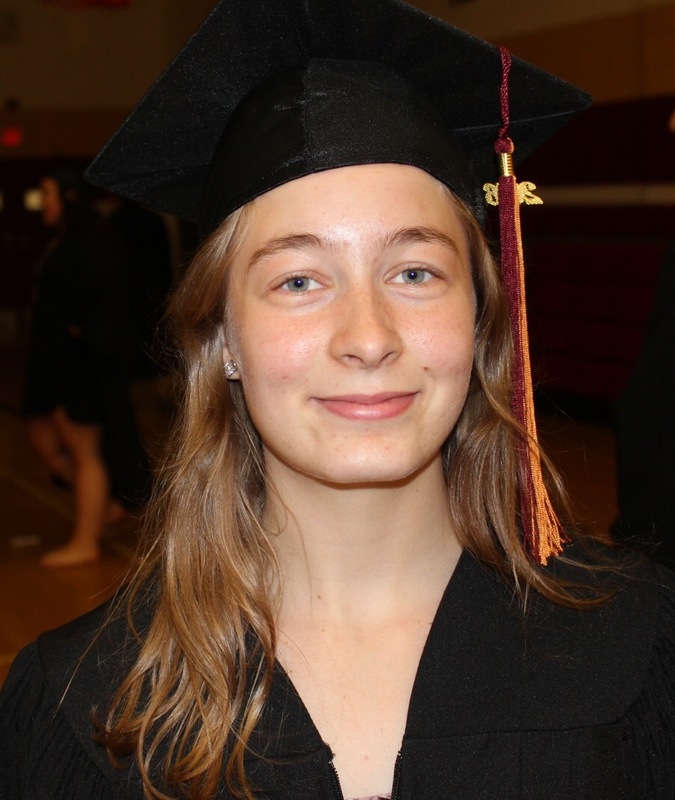 Laiken will be attending Sir Sanford Fleming College in the fall in the Ecosystem Management Technology program. Laiken loves the outdoors and wanted to make a difference working to maintain and protect the health of the environment using sustainable environmental practices and would like to pursue a career that allows her to actively participate in environmental change from within the system.